SNOMED CT Expo 2016 offers an opportunity to network with government officials, health IT professionals, practitioners, researchers, vendors from around the world and showcase the latest health IT achievements. A program of lectures and educational sessions will enable the participants to learn about the language of health IT and its recent developments. Apelon will be presenting DTS on FHIR at the HL7 FHIR Applications Roundtable held at Harvard Medical School in Boston July 27-28, 2016. 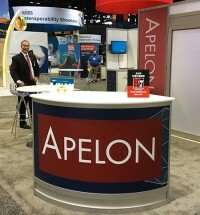 Have you see the latest from DTS, Apelon’s open source terminology server? Version 4.4 is out (register and download at http://apelondts.org), and there are a lot of new features over the past couple of releases. Will you be attending the HIMSS AsiaPac and Digital Health Week meetings in Singapore next month? We will... so let's meet up... Drop us a line at sales@apelon.com. See you in Singapore! Looking at MedDRA as a terminologist, I see some things I really like and some things I wish were different. We just overhauled the way we represent MedDRA in DTS, and the new schema helps DTS users take advantage of the good parts and more easily work around the rest. The Pharmacologic Class Work Group will be recognized at the 55th Annual FDA Honor Awards Ceremony with the FDA Commissioner's Special Citation. This award recognizes significant contribution or achievement that leads to improvements in service, programs, and/or communication for FDA. Again this year, Apelon will be exhibiting at e-Health, Canada’s premier health information technology conference, held this year at the Metro Toronto Convention Centre from May 31 to June 3. Apelon congratulates Betsy Humphreys on her appointment as Acting Director of the National Library of Medicine. As the Affordable Care Act goes into full swing this week, it's clearer than ever that we must find new ways to coordinate care. One important step in that direction is the ability to exchange accurate clinical information. Health information exchange lowers costs and can reduce hospital admissions (see this article for the evidence: http://bit.ly/18ym1tz).